You are here: Home > What Is WIC? 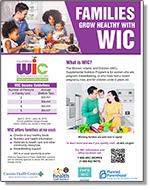 WIC is a health and nutrition program for women, infants and children. WIC helps families by providing checks for buying healthy supplemental food items from authorized vendors. WIC also helps families by helping you to know more about how to help your family to eat healthy. 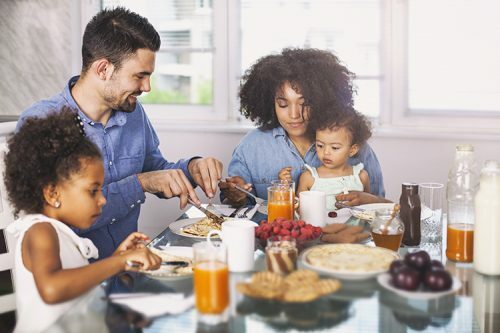 You might be eligible to receive WIC services if you meet the income guidelines, and are pregnant, a new mom and have infants or children who are younger than five. If you need support, click here to learn if you are eligible.